Patheos, an interfaith web site, is now running book clubs as part of their site. You can see their page for Religion and Faith Book Club and they posted a press release about it this weekend. Of immediate relevance to some Buddhists is that they’ve just started their first book with Deepak Chopra’s “Buddha: A Story of Enlightenment.” They’ve posted discussion questions and are hosting online discussions for the book. As part of this book club, Patheos and the publisher are making ebook versions of Chopra’s book available for free for the Kindle, Nook, and the iBookstore from Apple. For those interested in an online discussion of the book or new to Buddhism, this is a nice opportunity. 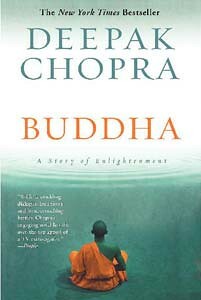 I’ve read Chopra’s book and found it to be a decent introduction to the Buddha without much in the way of polemic.